Prakash Baskar is an industry-recognized Business-Technology leader and the Founder & President of Khyanafi LLC. Based on two decades of direct engagement with consulting firms as part of his corporate leadership roles, Prakash had observed several problems and potential opportunities in the way traditional consulting approach worked. Prakash envisioned the need for a different approach to Consulting and Advisory work: one that would ensure quick value-creation, increased success and retention of benefits from corporate engagements. This resulted in the creation of the Khyanafi Way, a multi-tiered approach to strategic management consulting that combines the core capabilities of the Client’s senior leaders and Khyanafi’s principal consultants, leveraging Khyanafi’s partner ecosystem as needed to deliver outstanding results. Prior to Khyanafi, Prakash was SVP - Chief Data Officer (CDO) of Santander Consumer USA from 2014 - 2017. In this role, he built the Chief Data Office from the ground up and was instrumental in establishing the Data Governance, Data Quality, Business Data Strategy & Solutions and Report Rationalization functions. He also led several strategic initiatives that impacted Risk, Regulatory, Compliance, Finance and Operations areas which spanned across the entity, holding company, parent company and several of its subsidiaries in Europe and Latin America. During this time, he served as the point-of-contact for Internal & External Audit, CDO and Risk Management areas, as well as for regulators from US Federal Bank and European Community Bank, on Data, Governance, & Control aspects. Before that, Prakash spent about 10 years with JPMorgan Chase advising senior management and driving strategic engagements with $10 - $30 million budgets, overlapping Risk, Finance, Operations, Data and Analytics. During this time, Prakash’s work stretched across the entire range of Retail and Consumer Banking, including: Student Lending, Auto Finance, Mortgage Banking, Consumer, Cards and Commercial banking. He helped with the build of a new Data Warehouse and establishing a BICC for the President of Student lending division. He also supported the Chief Financial Officer in retail branch profitability and performance analytics. Working with the Chief Risk Officer, Prakash helped build the BCBS FAS 239 program, set-up of a new Decision Engine, and consolidation of originations systems for Auto Finance. 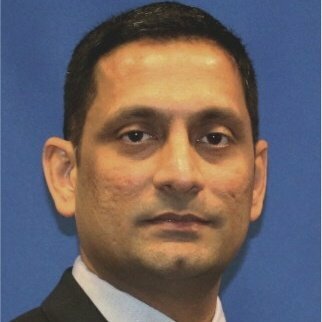 In partnership with the CIO & CTO, Prakash led the planning and initial set-up for the migration of 150+ TB data warehouse to a new platform, designed the Mortgage Default Risk Analytics and Operational warehouse, and also designed the security architecture for a multi-LOB federated common platform that would serve over 10000 users. During the period of 21 years prior to starting Khyanafi, Prakash has worked across Banking / Financial, Consulting, Manufacturing, Higher Education, and Automotive & Assembly industries. He holds a Bachelor’s Degree in Mechanical Engineering and a Master’s Degree in Information Systems. Prakash actively contributes to the Data, Analytics, Management and Organizational Design topics through blog posts, interviews and seminars. He is an avid writer and is currently working on publishing his book on Intrapreneurship, Career Mobility, and working with excellence.